The Seton Hall women’s basketball team managed to bounce back from Friday night’s difficult loss to Xavier by upending Butler 83-62 in Walsh Gymnasium on Sunday afternoon. 4:14 into the game, Shadeen Samuels had already accounted for all 10 of Seton Hall’s points. Naira Caceres of Butler gave her team a 13-12 advantage over the Pirates with a made free-throw attempt at the 2:02 mark in the quarter. Kaity Healy’s three-pointer on the left wing with 25 seconds left would give the Pirates an 18-13 edge heading into the second quarter. Tori Schickel’s second-chance put-back layup 1:28 into the second quarter cut the Pirate lead to 18-17. Nicole Jimenez’s made three-pointer from the right side of the perimeter extended Seton Hall’s lead to 23-19 with 6:58 on the clock in the first half. After obtaining a steal on the defensive end, Samuels sprinted down the floor and scored a transition basket with 3:01 remaining to give the Pirates a 30-21 lead. Seton Hall would end the half on top 32-22, thanks to a layup under the cylinder by Samuels. The leading scorer for the Pirates in the first half was Samuels with 15 points. After two technical fouls were assessed to Butler within the first two minutes, Seton Hall extended their sizeable lead to 14 points following four successful free-throw attempts by Inja Butina. Down 19 points with 6:09 left in the third, Kristen Spolyar knocked down a three from beyond the arc to make it a 47-31 ballgame. Samuels’s second-chance bucket put the Pirates up 55-38 with 1:12 to go in the third. Butina’s three from the far corner at the buzzer gave the Pirates a 58-39 advantage over the Bulldogs at the end of the third. Nicole Jimenez’s three from the left wing with 6:07 to play in the fourth put the Pirates up 67-48. With 2:30 left, Butina made a heads up defensive play to steal the pass from Michelle Weaver, and she laid the ball up to give the Pirates a 71-54 edge. Kaela Hilaire sank two free throws with 21 seconds left to cap off an 83-62 victory for the Pirates. The victory gives Seton Hall a 14-8 overall record and a 6-5 record in Big East play. 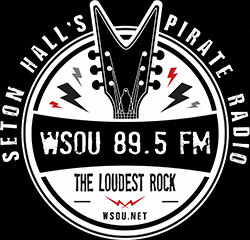 The Pirates next play on Friday night in Providence, Rhode Island, when they square off against the Friars at 7 p.m. That game can be heard on 89.5 FM WSOU, with pregame coverage starting at 6:45 p.m.